There’s a massive war going on behind the scenes between the largest technology companies in the world. You may not even know that it is happening. It’s being waged by every major tech titan on the planet today: Amazon, Apple, Facebook, Google, Microsoft, and Twitter, among others. They want your identity, or more specifically, your credentials. 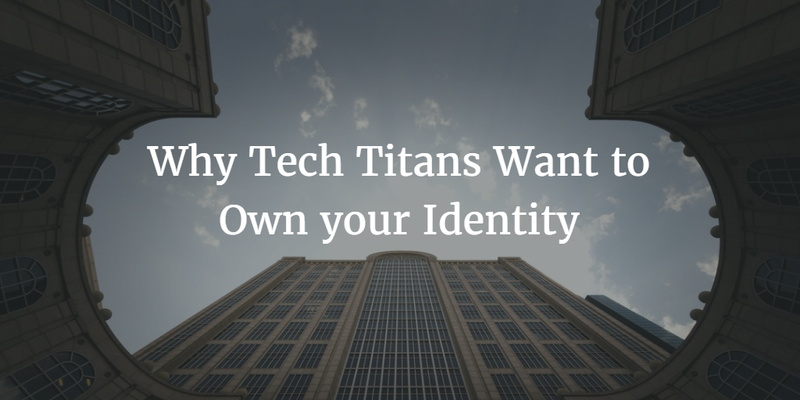 Why do all of these tech titans want to own your identity? It’s actually quite simple. If they own your identity, they will most likely have control over your online behavior. They will be able to influence what you buy, what sites you visit, and what you do online. Each of these organizations wants to be the keys to your electronic kingdom. Once they have them, they will encourage you to log in with those credentials to other sites all across the Internet. They will greatly influence – or attempt to – what you access, use, and purchase. They will simplify access, make purchases easier, and make access to partner services predicated on their credentials. Just as they will make it simple to login to their preferred services, they will limit and discourage the use of your identity to the services of their competitors. Interested in Instagram? You can use your Facebook identity to log in. What about Snapchat? Facebook logins don’t work. This is because Facebook owns Instagram and competes against Snapchat. The same is true on the business side. Google entices you with their services, but what if you want to log into a third-party competitor site? Well, that will be more inconvenient for you. The war to own your identities is all about lock-in. In the enterprise space, Microsoft Active Directory did this for many years. Microsoft cornered the market on directory services with AD and then leveraged that to make it easier to use their other solutions. If you wanted to purchase non-Microsoft technology, it wasn’t as straightforward to integrate. It wasn’t as simple for the manufacturer of that software to integrate with AD either. They needed to do more work to make it seamless for their customer. This built-in advantage would ensure that Microsoft solutions would have a competitive advantage. Of course, there was a downside for IT organizations. It was much harder for them to purchase what was best for their organization because not everything would play nicely together. The era of identity management lock-in should be over. While Microsoft is making a play for it with their Azure Active Directory platform, savvy IT organizations are shunning the big companies in favor of open and independent solutions. 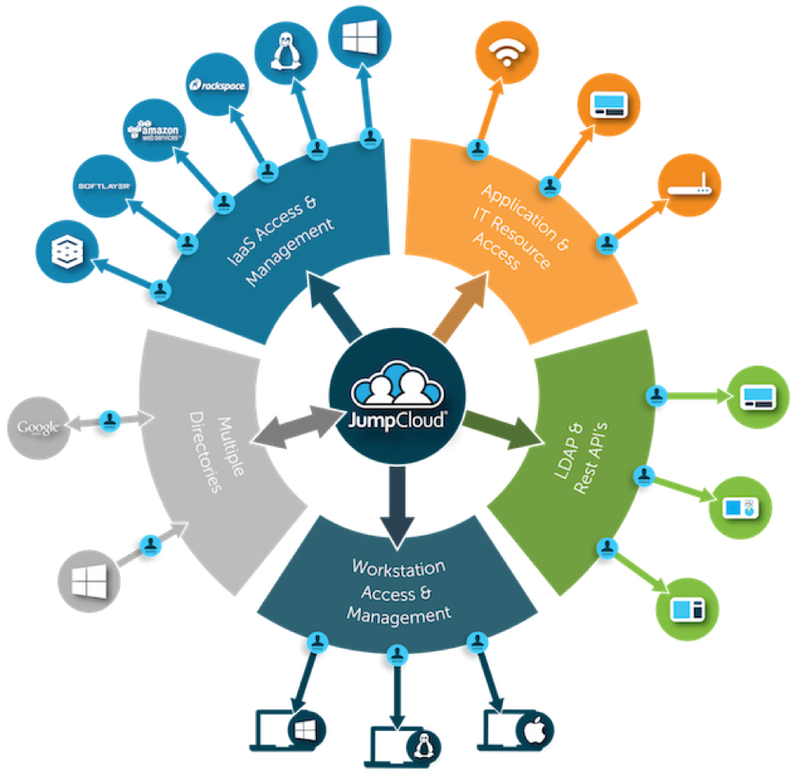 Directory-as-a-Service® is a vendor-neutral platform where a wide variety of resources can connect. Users can easily access whatever they need regardless of platform, and IT organizations may choose the best IT resources for their organization. If Macs or Linux devices are better than Windows at a particular function, then those can be purchased without fear of being able to appropriately manage them. If Google Apps is a better platform than Microsoft Exchange, then it too can be seamlessly integrated. In short, there is no agenda with Directory-as-a-Service – except to provide a centralized user management platform for the widest variety of IT resources possible. The next time you are courted to store your identity with one of the tech titans, think about what they are planning to do with that. If you think that they will be locking you into their services, you would be right. Instead, break free of their lock-in strategy and check out the independent Directory-as-a-Service platform.